Iran, March 29, 2019 - A large crowd of locals in Shiraz, alongside tourists visiting this historic city in south-central Iran, gathered at the famous Quran Gate in memory of recent flood victims. Despite attempts made by authorities to disperse the crowd, people were seen singing a famous anthem both in memory of the victims and in protest to the ruling mullahs’ regime. Videos posted on social media showed people protesting measures by the police intending to disperse the crowd. The mullahs’ regime is very worried about any gathering for any purpose, knowing the very high potential of such rallies turning into political demonstrations targeting the ruling elite. Many Iranians lost their lives at this very location during the recent floods. The mullahs’ regime fails to provide the actual number of victims and some reports indicate more than 200 have lost their lives. A source in the Shiraz emergency facilities said authorities at hospitals in Shiraz are preventing reporters and locals from entering due to the high number of deaths. Iranian opposition President Maryam Rajavi, head of the National Council of Resistance of Iran (NCRI), delivered a message expressing her condolences to the victims’ families after the recent disastrous flash flood and calling for national solidarity in such critical circumstances. Amid the catastrophic flood and such vast devastation, there is not much presence of aid workers and relief agencies. Instead, the mullahs have dispatched the Revolutionary Guard Corps (IRGC) and the Bassij paramilitary force to quell the outbreak of protests. Your anger at the mullahs’ theocracy has terrified the entire regime as you recognize them as culprits of so much destruction, death and sorrow. You are right when you say that the flash floods have driven the mullahs to the end of the line. And you are right when you say the floods are the consequence of the mullahs’ overwhelming corruption and crimes. Why did so many of our fellow compatriots die and get injured in Shiraz after just a 10-minute rainfall, with such huge destructions? Indeed, the clerical regime is truly an occupier regime. Yes, this is the end of the road for a regime that has poured the wealth of Iranian people down the throat of Bashar Assad, or has spent it for the Revolutionary Guards and Bassij. From our people’s wealth, it has been funding terrorism and nuclear and missile projects. And otherwise the regime’s corrupt leaders and officials have robbed and plundered our nation. Taking shelter in their (clandestine) “missile cities” will no longer save the mullahs, because now is the time for rebellious cities and resistance units. The time has come for protests and uprisings by a nation that is determined to salvage themselves, their livelihood, and the future of their children from the evil torrent of the Velayat-e Faqih theocracy. The arisen people of Iran seek to liberate themselves from the evil and villainy of this depraved regime. They seek to establish a country and a society ruled by freedom, democracy and equality, so that no one could ever again destroy the most basic and essential environmental requirements of their cities and villages, leaving them defenseless. We pray that God may save Shiraz and all Iranian cities and villages from decline and from the grief and gloom of the mullahs’ rule. Without doubt, you courageous women, men and youths, in Shiraz and other cities and villages of Iran will do away with the shameful rule of the mullahs.  Again, I would like to extend my condolences to the bereaved families in Shiraz and in other provinces impacted by flood, and I pray for the quick recovery of those injured and wounded. All Iranians are really upset because of the appalling situation of our people in this tragedy. They have heard the cries of those stuck in cars in the middle of flash floods without any rescuers, asking for help. They have heard of the innocent children drowned and the people who have lost everything. I hereby call on all my fellow countrymen and women to cooperate together in the flood-hit areas and in other areas which are in danger. The only way and the best way is that we help one another. No one and no other power is more effective and more accessible than the power of solidarity among us. I urge everyone, particularly the young men and women, to form their popular councils in every neighborhood, and in every city, town and village to confront the floods and their disastrous consequences. All the resources stolen by the Revolutionary Guard Corps, the Army and other government agencies, belong to our people. They must be placed in their totality at the disposal of our people so they could prevent further damage and devastation. I urge the freedom-loving youths and members of resistance units and councils to not lose any opportunity in helping the flood-hit families. Help the people organize their popular councils which is the only solution for prevailing over this devastating flood. Rush to the aid of families affected by floods and show them your love and compassion. The mullahs have inflicted such a calamity on our people and cities. Let us build amid such disaster, our own solidarity and kindness which is the greatest strength of our nation. Let us build with our tears and sorrows a force of sympathy and unity against the mullahs. In these difficult days, rely on one another and let people rely on you. Take one another’s hand and let us come together to advance our plans for a free and prosperous Iran.